Penny might not consider herself a goth, but the fact she dresses up as a demon and works at a funeral parlour has the rest of Flatwood Peaks thinking otherwise. When her over-the-top antics get her fired, she reacts just like any other person would - and drives to a local cemetery to hang out in a crypt with her boyfriend. You know, as you do. Unfortunately, said crypt collapses beneath her feet and the sharp-tongued heroine plunges to her none-too-ironic death. Luckily for her (if you can call it ‘luck’) she awakens in the underworld to find Death himself has decided to go on vacation, mistaking Penny for the temporary replacement he’s been waiting an eternity to arrive. 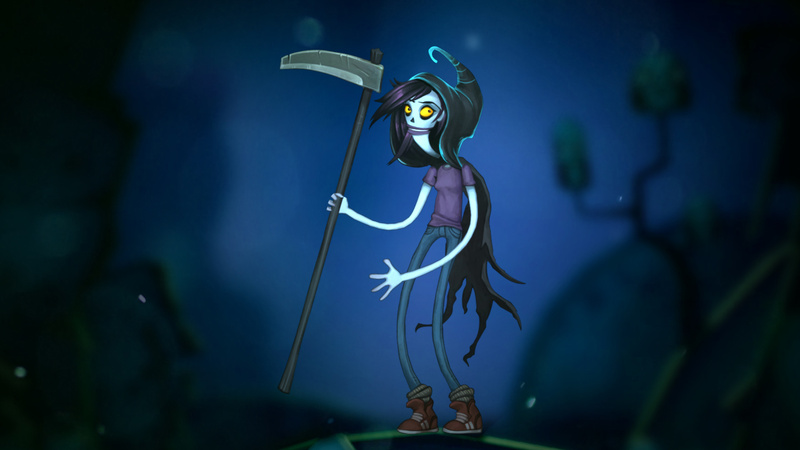 Now with a black cloak and a magical scythe to her name, it’s up to our Pen to help settle the unfinished business of the local dead. So yes, Flipping Death basically Mort (one of the brilliant Discworld novels from the late Sir Terry Pratchett) in all but name, but as a premise for a game, it makes for a deliciously intriguing setup - especially in the hands of a quirky developer like Zoink Games. With the power to possess the living (because, why not), Penny can ‘flip’ her 2.5D world to return to the land of the not-yet-dead. Pressing ‘L’ enables you to read the thoughts of her current host, revealing clues for quests, while moving the right analog stick will enable you to control them and use each citizen’s unique traits to solve all manner of puzzles. You’ll need to control an unhinged dentist in order to open a giant can of paint, use the poking powers of would-be supervillain Pokeman and even control a whale who needs to unblock the skeletons stuck in their blowhole. It’s all very weird in a black-humoured Double Fine sort of way, but there’s a surreal pleasure to exploring Flatwood Peaks from the perspective of the underworld and using each of the townsfolk like a fleshy collectable. If you’ve played Stick it to the Man! already, you’ll instantly recognise its nightmarishly comedic art style - in fact, Flipping Death shares a lot of common features with 2014’s memorable platformer. Both games use an open-plan approach to exploring its open-ended environment, but this new instalment ensures you never get lost by adding in a map filled with points of interest and a pictorial hint system that always points you in the right direction. It can make solving its puzzles a little too easy, but it helps avoid the game from falling into the pitfall of using over-obtuse quests. You can also teleport to any characters you’ve possessed in that chapter, although these teleportation points reset after every chapter. 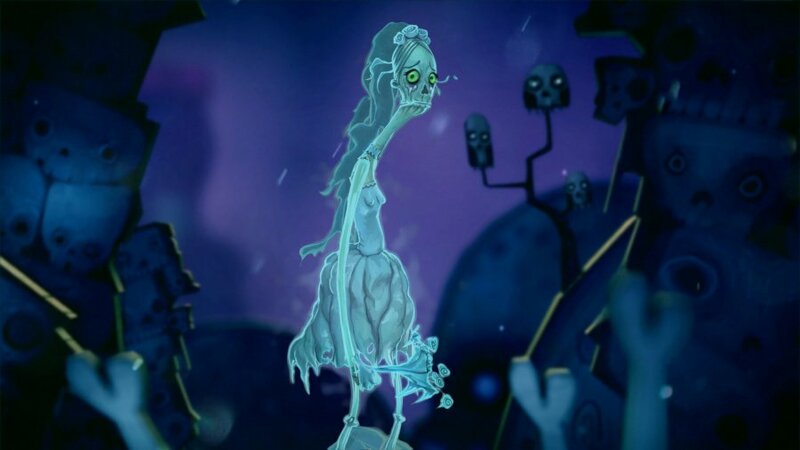 Thankfully, the ghostly sprites that float around town in the world of the dead - which are used as a currency for possession - are more than abundant, although you’ll have to search a little harder to unlock some of the rarer variants (which in turn enable you to control mission-specific characters). It’s a cute feature that rewards exploration with the fuel you need to bother the living, although switching between both worlds (which quite literally flips the screen) can get a little disorientating for a game all about revisiting locations. Most of the objectives you’re given by assisting various characters also fit together like one long quest-like puzzle, with one completed task unlocking the way for the next. For instance, you’ll need to use a trumpet-playing jazzman to help blow a whale back into a lake, but to do that you’ll need to get a dog currently bothering the local chef to chase a cat that works a nearby bridge. With its colourful cast of weirdos, misfits and downright rotters, the sheer silliness of Flipping Death’s surreal setting ensures these seemingly basic tasks never feel mundane thanks to the entertaining dialogue. The addition of challenges hidden throughout the game (based mainly around getting certain controlled citizens to perform special tasks) adds extra replay value, as do the collectable Ghost Cards that reveal more about Flatwood Peaks’ oddball residents. It certainly makes Flipping Death a meatier prospect than the criminally-short Stick it to the Man!, and shows Zoink Games has taken the time to listen to the issues that stopped that first game from being the instant classic it almost was. Flipping Death does share plenty of DNA with Stick it to the Man! - ranging from the floatiness of its platforming to the ability to read the minds of other characters - but that doesn’t stop it from being a far superior offering in almost every way. 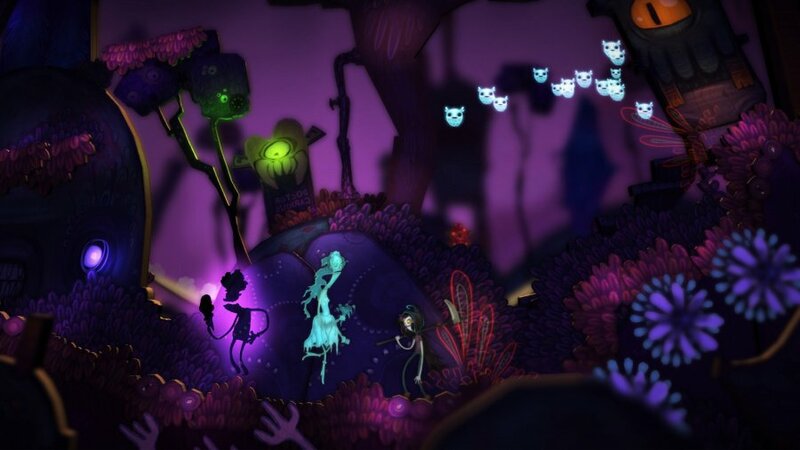 We’re still not quite sure why Death is possessing the souls of the living and sorting out the loose ends of the dead, but it makes for a memorable black-humoured adventure that deserves to haunt your Nintendo Switch immediately. When does this launch on UK eShop? Well, that seals the deal. Will patiently await for the retail version in late September. @Dom Haha, mate, your taglines are like that literal doctor from Arrested Development. 'Grave concerns' I immediately thought, 'Oh no, the game has problems.' But it seems it doesn't...it's literally concerning the grave. lol. @Abaeron Eshop shows it as planned for release tomorrow, same as the US. The European Nintendo Update press release only seems to include games out on the Thursday. The US update gives info on all releases for the week ahead. I would buy Discworld on the Switch! I wonder, how long is it? I believe Stick It to the Man was about 10 hours. I really fancy this physical, but £24 is maybe too much. Headline had me fooled for a second. Definitely a physical buy for me! So glad this scores well, I love the premise and art style! Also, re teleporting into other people , read iain m banks “transition”. Superb but not for the faint-hearted! @alasdair91 €24 is not too much if it is better (as the reviewer suggests) from their previous game that was already of top quality. @GrailUK "He looks like he's dead." 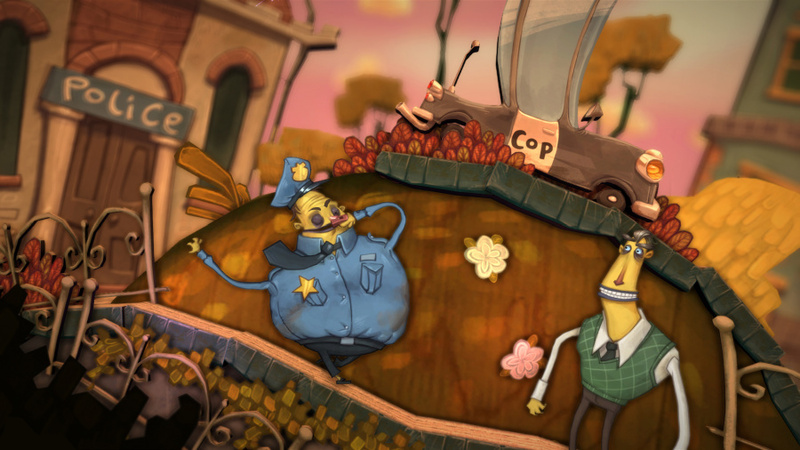 I loved Stick it to the Man, so it's good this game turned out well. Man, Switch might not get a lot of the "AAA" third-parties, but Indies are killing it. Well this is different, gotta give it credit for that at least. @Dom I loved Stick it to the Man so this is definitely on my buy list. The only thing holding me back is the £17.99 price point, particularly if it is only 5 hours long like the first game. How long do you reckon this one is? I am hoping it is at least 10 hours. @Dom cheers for that.. what with this and dead cells.. when am I ever going to get around to finishing octopath. I will wait for a sale as this seems like a rainy day weekend game for me. I just love that we are at the point where whenever I finish the game I am currently playing there are dozens and dozens of games like this to move to next. This had slipped under my radar. It sounds really interesting so on the Wishlist it goes. @GrailUK Duuuuude I did the same thing. Got real nervous when I read the subheader. Zoink! is an A class developer. Can't wait to pick this up after the gf and I are burnt out on Overcooked 2. Art style put me off this entirely. Those are some fugly characters. Yeesh! ....everything else sounds good, though. Oh well, it won't be the last good game in this style, I'm sure. Never finished "Stick it to the Man" because being chased by those bad guys stressed me out at some point. But always loved its premise and style and weirdness and music! So I probably will get this, but probably physical due to Okami and soon Monster Hunter right now. @Kiz3000 It's longer than the first. I'd say you can get well over ten hours seeking out all the challenges and ghost cards. It's absolutely worth it, trust me. I don't think this is the game for me in terms of game play. But oh boy does it sound creative! I absolutely admire them for that! I am glad it lived up to the hype. It's been in development for a bit. Still can't buy it on switch e shop yet. And its been on PSN since midnight. Guess I have to wait a few hours game looks great though!. Another game to add to the list. I thought the summer was meant to be slow. 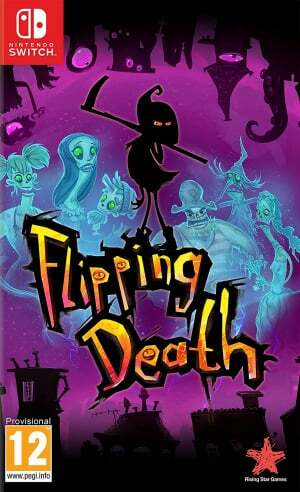 Loved Stick it to the Man, but wait for the retail version of Flipping Death. If I can. Well, I still have 'nuff to play so I try. Huh, this one has taken me by surprise, wasn't really on my radar until reading this. I need to get Celeste, Octopath and Dead Cells out the way first, but definitely plan on picking this up soon. I have been waiting for this one for quite a while. I was a big fan of Stick It to the Man, but to be honest, I didn't enjoy this one quite as much. I still loved the art style and humour, but some of the puzzles are incredibly confusing (thank God for the hint system I guess. I'm not sure how anyone is supposed to make some of the giant, insane leaps of "logic" without the hints). I think for a puzzle to work, it needs to exist within fairly small paramaters, but with these big sprawling levels with multiple characters and multiple puzzles going on at once (where it's easy to miss a bit of scenery, or forget a line of dialogue that was said ages ago, that are integral to the puzzle), it can be hard sometimes to narrow things down to the right solution.